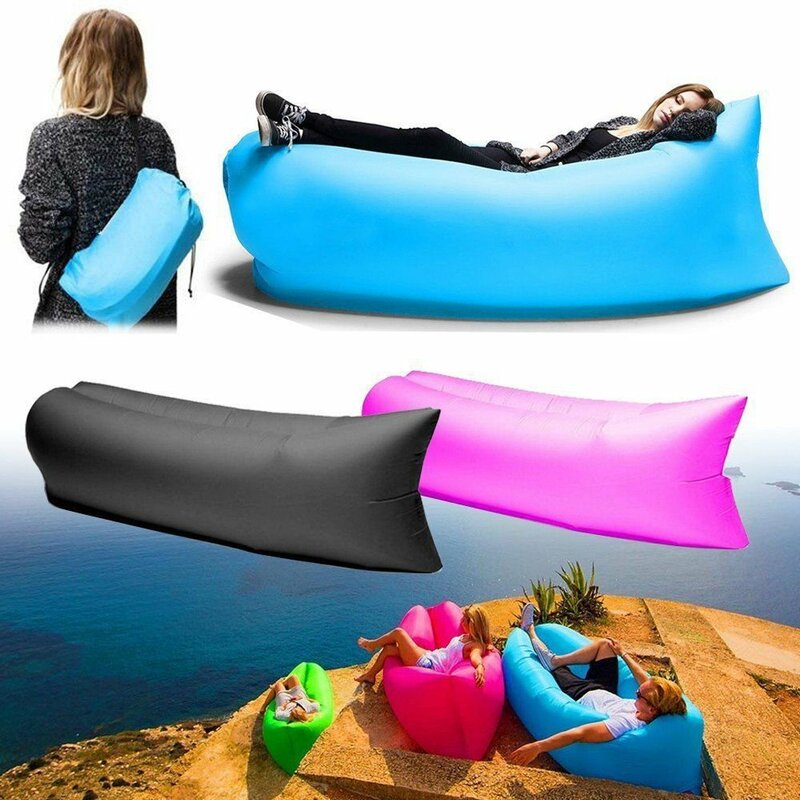 Designed for ease of use, the inflatable lounger packs into a compact bag when not in use, making it easy to strap onto your backpack or carry on its own. 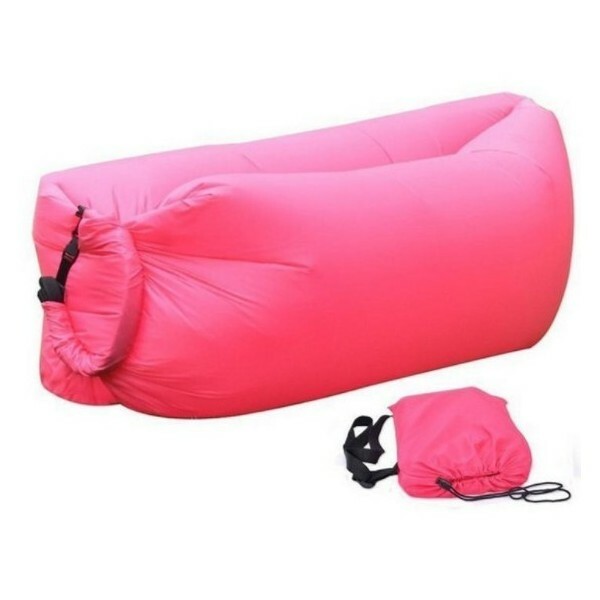 For setup, it simply requires unpacking and filling up with air - windcatcher-style, allowing you to inflate the whole thing in just a few seconds. 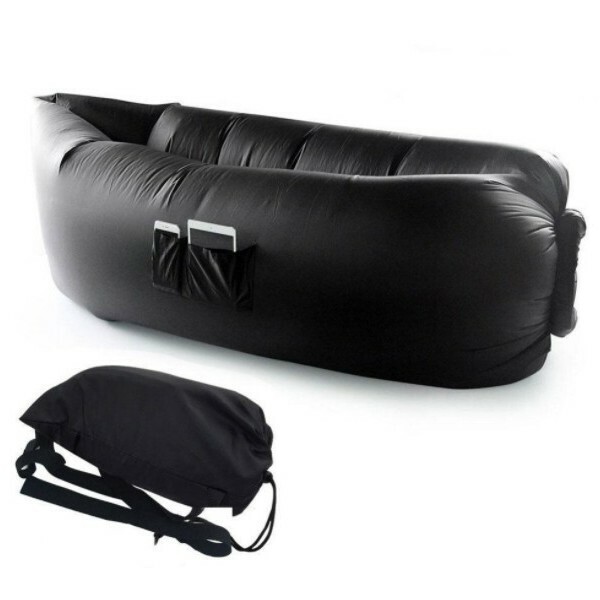 Portable Design: The biggest advantage of this product is portable design. It is only 1KG(2.7lb). 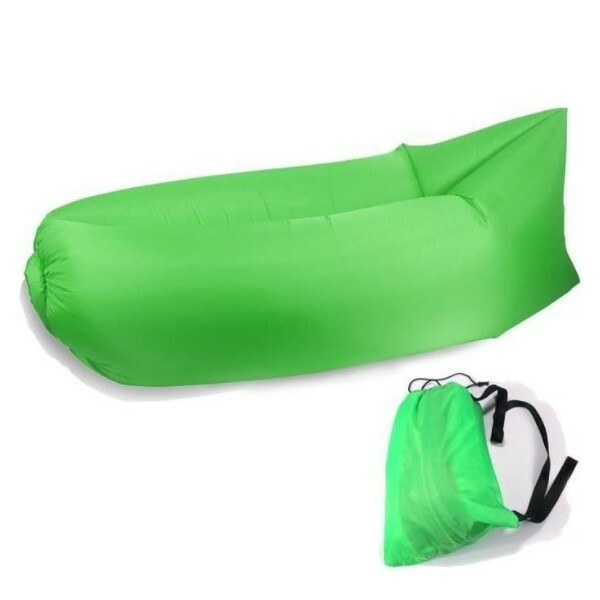 You can put it in the buggy bag and take it to anywhere you like. 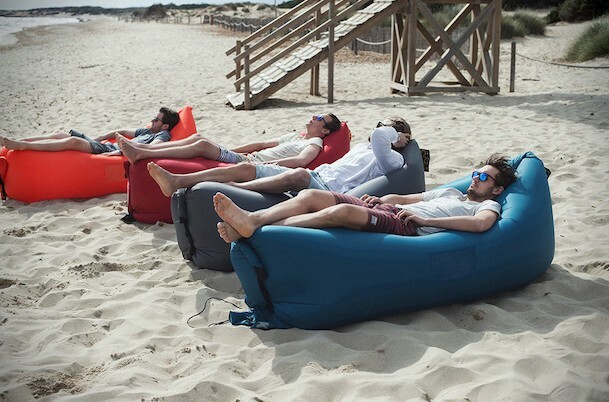 Perfect Craft: This Inflatable Couch was made by external Nylon cloth and internal PVC, it can bear over 440lb, that means 2-3 people sit on it at the same time. 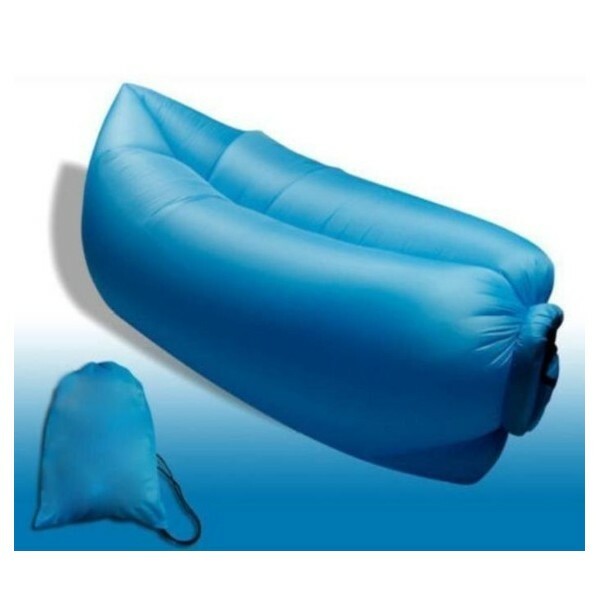 Easy use: Take it out and open the bag against the wind. Then the wind would be placed in and it is filled with air soon.It is only several seconds from unfolding to enjoying it.